Bear with any shaky camera work, please, and enjoy. 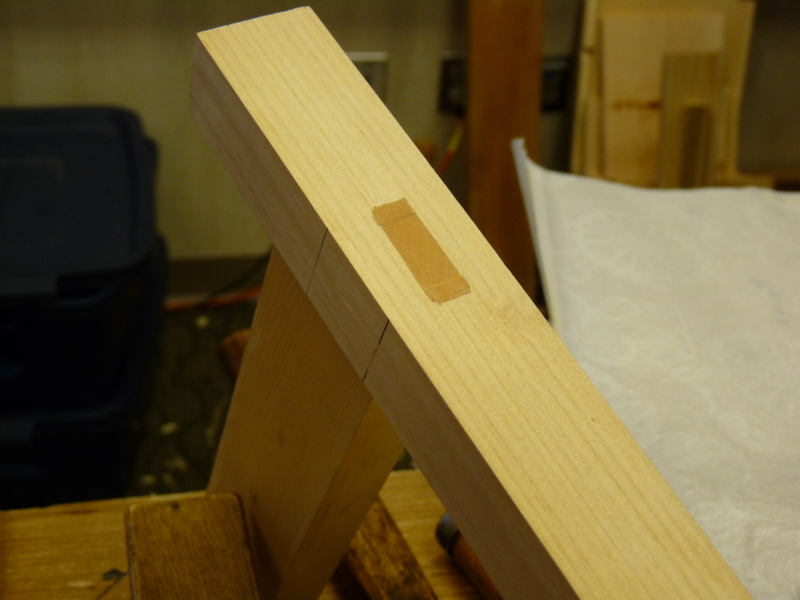 Parts 1 and 2 deal with the marking of a mortise and tenon for a wedged through tenon of the frame of a shoji screen. Parts 3 and 4 deal with the actual chiselling and sawing of the joint. Here is a pic of the completed joint with the through tenon planed flush. I will wrap up the conference in my next posting, with additional pics. UPDATE: Was saddened to hear that Jay was involved in a bad tablesaw accident this week. Luckily, he did keep all of his fingers, but it was close. Lets all wish him a speedy recovery! This entry was posted on October 17, 2011 at 4:54 pm and is filed under Acorn House. You can follow any responses to this entry through the RSS 2.0 feed. You can leave a response, or trackback from your own site.